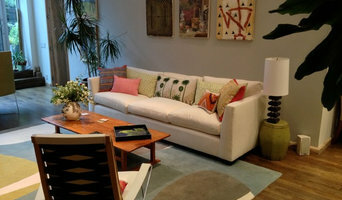 We are home furnishings professionals based in Brooklyn, USA. A team with over 70 years of combined experience, we locally design and handcraft real wood furniture, directly available to you online and at our Manhattan and Brooklyn locations. Locally sourced solid wood and select veneers are crafted and finished by our Brooklyn artisans, employing durable materials and finishes free of toxins and allergens. Our commitment to organic, sustainable principles is evident in our products and practices, contributing to healthier indoor air at home and at the workplace. 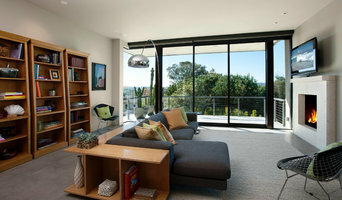 Smartly designed for affordability, our collections pay attention to your urban interior living space needs. With an eye to utilizing space and providing unique storage solutions, we also custom-make for residential and commercial interiors. Our quality craftsmanship, thoughtful design, and choice of materials make urbangreen furniture timeless. By using sustainable materials and practices, our products benefit consumers, workers and the environment. All of our products are: - Locally Sourced: Our wood comes from local Northeastern sources. By staying so close to home, we don’t add to the environmental burden of transportation emissions. - Locally Made: Our designs are handcrafted in our Brooklyn, NY factory by local craftsmen and sold directly to you. - Designed to Minimize Waste: At urbangreen, we foster affordability through green planning. We cut only the wood we need, eliminating waste, and source, manufacture, and ship our products ourselves, eliminating additional costs and providing you with exceptional value. - Fully Assembled: Our furniture comes fully assembled, thus reducing packaging waste and saving you time. Smart Designs: - Our pieces are inspired by both timeless classics and modern designs and are influenced by our combined passion for design and respect for our earth. - There is an elegant mesh of form and function. By taking into account the space we live in, we offer clean designs, unique storage solutions and utilize natural, durable materials to produce pieces that will last for a lifetime. - Each piece is totally customizable. From simple bookcases, fully designed kitchens, to commercial projects, our team will work with you to bring your vision to life. 25% Discount on Floor Models! 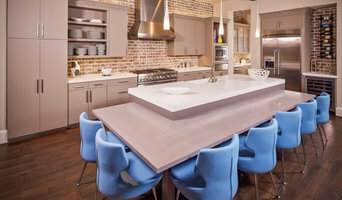 Essential Elegance, Inc. provides full design services to both designers and clients/end users. One of New York City's rising luxury designers, Farzana brings her enthusiasm and talent to a wide variety of projects worldwide. She is a Graduate of Parsons School of Design, and received a B.A. from City University of New York. Farzana started in the design industry in 2005 as an assistant designer in an Italian Showroom at the New York Design Center. Designers can benefit from using Essential Elegance as their greatest source for AutoCAD drawings, 3D renderings and virtual renderings at the best price that the US market can offer. They can also access the finest selection of products with exclusive discounts through us. Clients/end users can access all of the above benefits plus our design expertise by using our in-house designers and architects for their projects. DESIGNLUSH offers a full array of residential and commercial interior design services, with recently completed projects in Manhattan, the Hamptons, Las Vegas and South Beach. The interior collection and showroom DESIGNLUSH was founded as a platform for showcasing the work of talented and avant-garde artists, architects and designers practicing the craft of fine furniture making. It is a leading source for innovative contemporary and modern design from around the world. Most of the DL offering is completely customizable to reflect the unique needs and tastes of an appreciative and discerning clientele of designers and design enthusiasts. DESIGNLUSH showrooms offer an innovative collection of indoor and outdoor furniture, lighting, home accents and art. Nella Vetrina showcases the best in the classic and modern Italian furniture and Italian lighting design. Our luxury collections are created by world-renowned Italian designers, local craftsmen and virtuoso glass makers. As a fashion house for all living spaces, we feature exclusive designer Italian furniture, hand-made Venetian and Murano chandeliers, luxurious Italian bathroom vanities and handmade Mosaic tiles that breathe uniqueness, beauty, intrigue and soul. Check Out Our Custom Pieces! Futonland started in 1995 as a small, specialty futon store store in Queens, NY. On the eve of our 21st anniversary, we currently sell to all 50 states, cater to a wide variety of urban functional furniture, and have a massive online presence; never once losing sight our emphasis on personally tailored futons in a workshop setting. We are not a Big Box store. Our customers are never forced into the mold of the products we have: Futonland is designed to fit any space, taste, and economic background without compromising quality. We are a detail-oriented business with a concentration on urban furniture and the resources for any furnishing needs. We were built on the principles of maximum craftsmanship and cosmopolitan efficiency, and we’ve only strengthened this foundation over the past two decades. Urban spaces pose complicated spatial challenges, and our team of professional patternmakers, foam fabricators, and seamstresses are equipped to work around the most rigorously constrained spaces. No matter what the circumstances, the recurring customers of Futonland know they can expect caring customer service from real people they know, which is something you just can’t get at an inaccessibly large company. If you are in need of any custom work, from sizing to density to design; Futonland is here to help. Additionally, we offer mattresses, pillows, bed frames, and a host of other options for comfortable city living. We assist with moving (including transit arrangements), provide in house assembly service, and will locate any replacement set surrounding your futon. We know you’re busy multitasking wherever you are, and that’s why we will always provide a flexible delivery crew that will coordinate with your building time restrictions and provide fully insured delivery service. Above all, Futonland is committed to you. At our workshop, it is our mission to customize endless furnishing possibilities for the purpose of satisfying your needs as our customer. Design your space, your way, with our family at Futonland. Custom made reclaimed wood table tops from 150 year old barns and homes from NJ and PA country side. 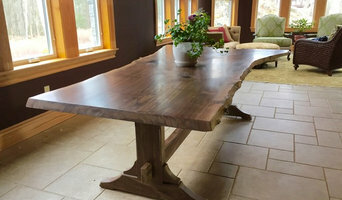 Made by hand in the USA for home dining, office conference communal tables, and restaurant ,pub, bar and bistro tables.